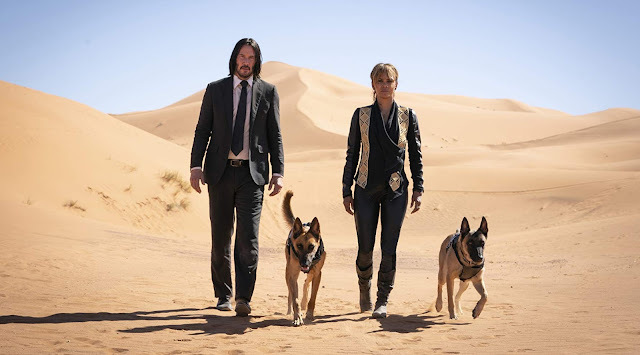 The third entry in Keanu Reeves' latest franchise, John Wick, that began as a humble one-off revenge thriller in 2014 with little to no aspirations has (finally) released its first full trailer and this neon-soaked barrage of violence and fine tailoring couldn't look more badass. 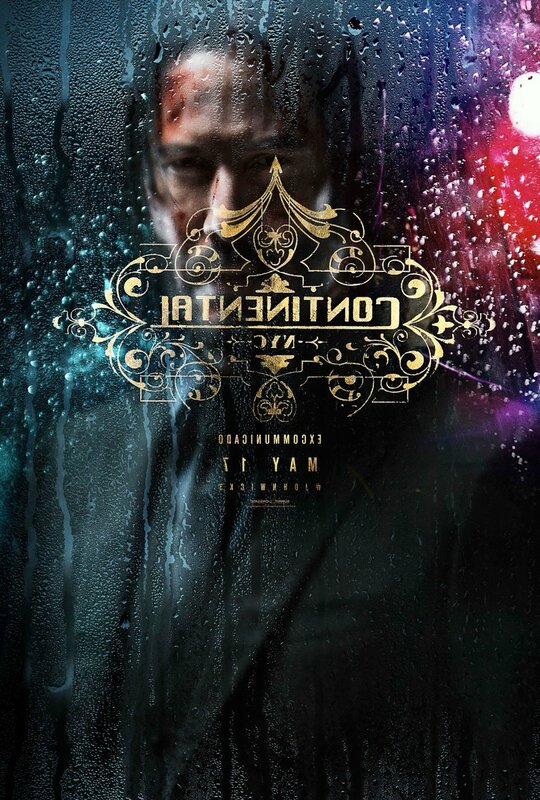 John Wick: Chapter 3 or Parabellum as it has now been subtitled will follow the events of Chapter 2 in allowing audiences to witness the "excommunicado” of its titular assassin as he is now a wanted man by the entire criminal underworld, but without the safe haven of places like The Continental to escape to. 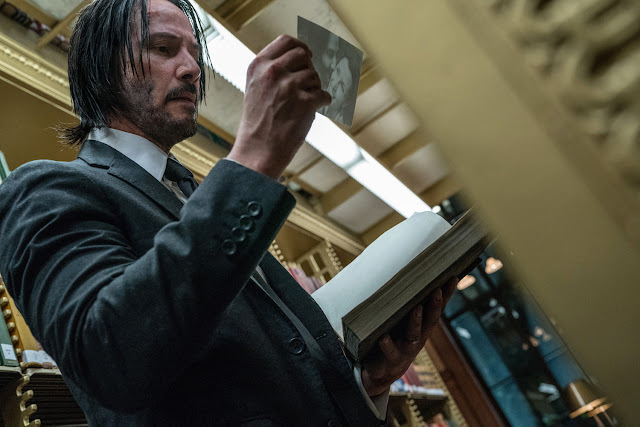 While it looks as if much of this latest film will see Wick on the run, eluding and deflecting those with balls big enough to try and claim the bounty on his head it also looks as if director Chad Stahelski (who co-directed the first film, but went solo on the sequel), directing a script from Derek Kolstad, will be introducing plenty of new faces-not least of all a character played by Halle Berry. While Berry hasn't exactly spurned the promising beginnings of her career into one of widely adored projects or a franchise or character that has catapulted her to insane levels of fame, she seems right at home in this world of Wick and given she seems to essentially be teaming up with Reeves I can only hope the chemistry and banter between them is as good as I might venture to guess; the touch of her having a pair of attack dogs isn't bad either. 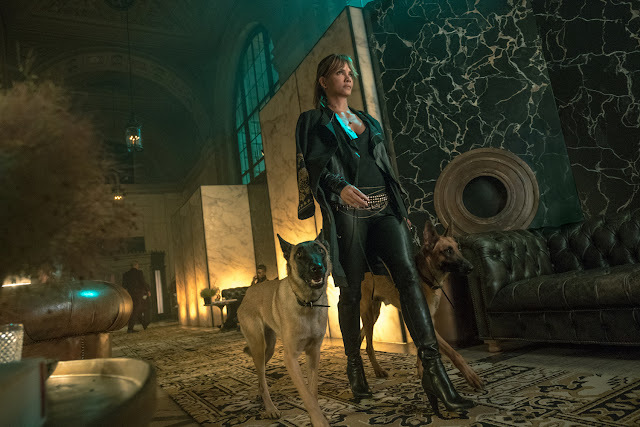 Of course, what most come to the John Wick franchise for is the action and it would be hard to blame them as both the aesthetic of the film in general and the look of the many large action sequences here look to be downright striking. Taking place mostly at night, with lots of moody rain we see Wick chase sword-wielding motor cyclists on a horse in a chase sequence I can't imagine will be anything less than bonkers while Wick also seems to have figured out a way to make even reading lethal. Needless to say, this looks to be exactly what any sequel to that 2014 original would promise itself to be. 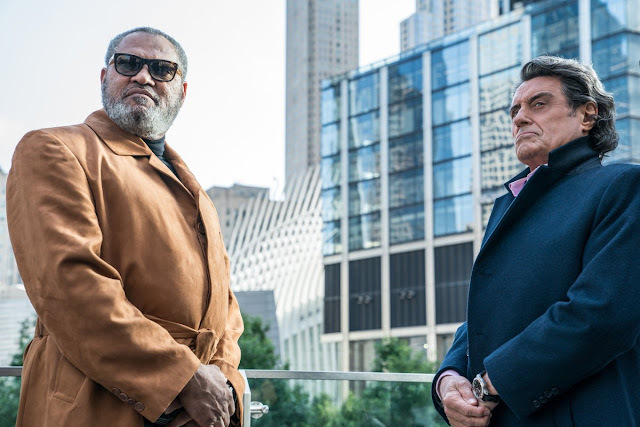 John Wick: Chapter 3 – Parabellum once again reunites Reeves with his Matrix co-star Laurence Fishburne, with other newcomers including Anjelica Huston, Jason Mantzoukas, Hiroyuki Sanada, Robin Lord Taylor, Tiger Hu Chen, Yayan Ruhian, and Cecep Arif Rahman, while Ian McShane, Lance Reddick, Common, and Ruby Rose all return when the film opens on May 17th, 2019. Synopsis: John Wick (Keanu Reeves) is on the run for two reasons… he’s being hunted for a global $14 million dollar open contract on his life, and for breaking a central rule: taking a life on Continental Hotel grounds. The victim was a member of the High Table who ordered the open contract. John should have already been executed, except the Continental’s manager, Winston, has given him a one-hour grace period before he’s “Excommunicado” – membership revoked, banned from all services and cut off from other members. John uses the service industry to stay alive as he fights and kills his way out of New York City.